Statistics released last week show that almost half of all young people in the UK enter higher education. But some groups are still far more likely to go on to university than others. Whereas 55% of young women aged 18-30 become students, only 43 per cent of young men follow a similar route. This means that some British universities now have twice as many female undergraduates than males. The gap between the numbers of male and female students has been a persistent feature of the higher education landscape since it emerged in 1992. For a quarter of a century this disparity has increased year-on-year and now stands at 11.9 per cent, up from 10.2 per cent on the previous year. It’s not just that women are going to university in greater numbers; they are also doing better once there. Whereas 79 per cent of women get at least a 2.1 degree classification, only 70 per cent of men score this highly. Significantly, this attainment gap exists even when comparing the results of students who entered university with exactly the same levels of prior academic attainment. What’s notable about this seemingly-intractable gender inequality is the lack of comment it attracts. If these statistics were reversed, and women were less likely to carry on to higher education than men, then I suspect there would, rightly, be outraged opinion pieces in newspapers as well as national inquiries and campaigns launched to get more men into higher education. Indeed, it is thanks in part to the efforts of a previous generation of feminists that women today have the academic opportunities they do. Yet today’s campaigners for boys are few and far between. In the UK, girls now do better than boys from their first days in school and in almost every subject area. The biggest gender attainment gaps are in reading, writing, speaking and listening. In 2016 the gap between the performance of boys and girls at age 16 was the largest in over a decade at 8.9 per cent. 71.3 per cent of GCSEs taken by girls were awarded at least a C grade, compared to just 62.4 per cent of exams sat by boys. Success aged sixteen leads to a greater number of female students continuing along an academic route to take the ‘A’ levels most likely to lead to admission to university. Collective complacency about underperforming boys suggests higher education’s gender gap is seen as inevitable. But history shows us that viewing one gender as ‘naturally’ more intelligent can become a self-fulfilling prophecy as children meet the expectations held of them. Yet, rather than worrying about the underperformance of boys, we see instead a redoubling of efforts to prove that girls are the disadvantaged group. Campaigners look to an ever narrower range of subjects where women are underrepresented, such as higher level maths, computer science and engineering, to show that sexism still pervades education. This refusal to look at the bigger picture can imbue young women with a false sense of the problems they face. As a result, when girls find a subject challenging, or women at university meet setbacks, as everyone will, they may assume these are the insurmountable barriers they were warned about and give up on a subject entirely. Boys, on the other hand, are often seen as a problem to be managed at school and university. ‘Lad culture’ with its bad behaviour, banter and casual misogyny, is said to be rife on campus. Quiet young men are, in turn, criticised for not seeking the academic and emotional help they need to succeed at university. In contrast to well-established projects designed to encourage girls to study science, campaigns aimed at boys tend to be piecemeal and underfunded. More worrying are the assumptions driving such initiatives. Schemes that aim to get boys ‘hooked’ on university through links with local football clubs and sports risk perpetuating gender stereotypes. They may also reinforce a view that higher education is not exciting in its own terms and boys need to be ‘tricked’ into participating through conversations about sport. The current problematising of boys and refusal to celebrate the success of girls does no one any favours. In education, we all need liberating from the gender wars. ‘Gender and Education’ Published online February 2017. D.R.E. Cotton, M. Joyner, R. George & P.A. Cotton (2016) ‘Understanding the gender and ethnicity attainment gap in UK higher education’ in Innovations in Education and Teaching International 53 (5). Gill J., Esson K., Yuen R. (2016) ‘See How Far We’ve Come! Girls’ Education in Recent History. And Where Does This Leave Girls Now?’ in A Girl’s Education. Palgrave Studies in Gender and Education. Palgrave Macmillan, London. Phipps, A. (2016) ‘(Re)theorising laddish masculinities in higher education’ in Gender and Education published online April 2016. 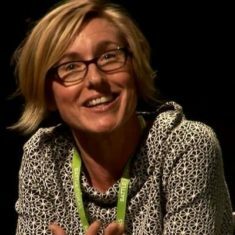 Joanna Williams is an author, academic and the education editor of Spiked. She has taught in schools, further and higher education for over twenty years. Her latest book, Women vs Feminism: Why we all need liberating from the gender wars, is out now.